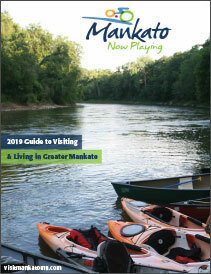 Visit Mankato and Greater Mankato Growth team up to produce the Guide to Visiting & Living in Greater Mankato, a publication filled with useful information those who live or work in or visit Greater Mankato. City Center Mankato has attracted significant investment in the past decade. 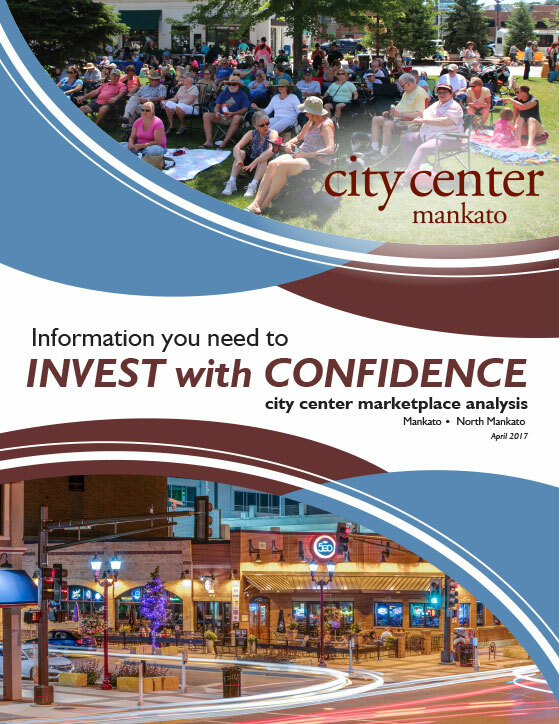 Learn about opportunities for success in this unique downtown in the City Center Marketplace Analysis booklet. 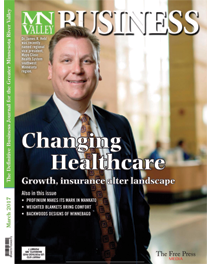 Greater Mankato is pleased to have a section in Minnesota Valley Business, enabling us to share news of interest to the entire Greater Mankato business community. 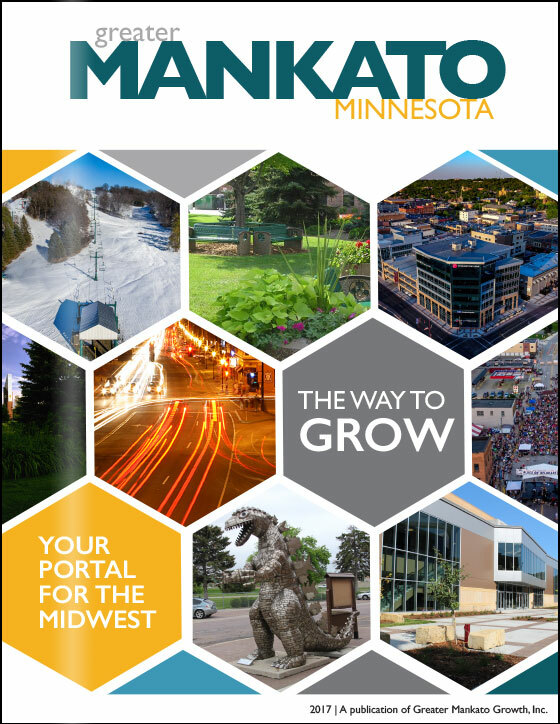 Greater Mankato - The Way to Grow was a publication highlighting the livability and economic vitality of the Greater Mankato region. 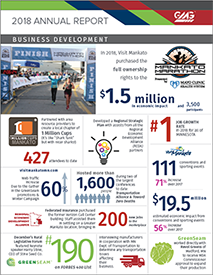 Original research and reports compiled and published by the Greater Mankato Growth professional staff. 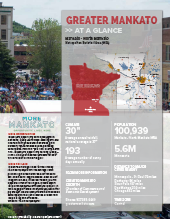 In Spring 2012 Greater Mankato Growth, together with the South Central Workforce Council and the Minnesota Department of Employment and Economic Development (DEED), conducted the area’s first comprehensive workforce Talent Supply & Demand Study. The study compared anticipated employer demand to the region’s talent supply in order to identify increased business and talent development opportunities. 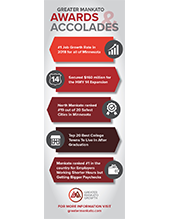 The Talent Supply & Demand Report includes workforce and employment data, as well as student data from our region’s five higher education institutions: Bethany Lutheran College, Gustavus Adolphus College, Minnesota State University, Mankato, Rasmussen College and South Central College. 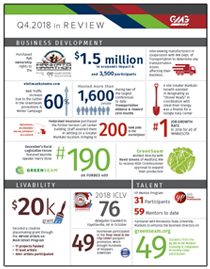 The REDA Annual Review was published in October of 2016. 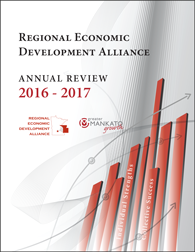 This report recaps the year's work and key successes of the Regional Economic Development Alliance (REDA).